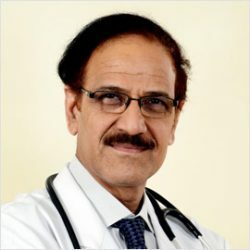 Dr. Chandra started his career from the country’s premier medical institute – All India Institute of Medical Sciences (AIIMS), New Delhi in 1989 as DM Fellow. He went on to serve as Faculty Member at AIIMS. He received training at some of the world’s top institutions in USA, Europe and Japan. Dr. Chandra has served in the past as Senior Consultant at Indraprastha Apollo Hospital, New Delhi; Director – Cath Lab at Narinder Mohan Hospital and Heart Centre, Delhi NCR and Fortis Escorts Heart Institute, Okhla, New Delhi. Japan to update his skills on interventions.